Mr Debashis Dutta, Chairman, FWC-2018 Organising Committee and past Chairman, FFFAI. World’s leading Logistics Conference, FIATA World Congress (FWC), which is being hosted by the Federation of Freight Forwarders’ Associations in India (FFFAI) for the first time in India from September 26-29, 2018 at Pullman Hotel, Aerocity, New Delhi, will be inaugurated by Mr Nitin Gadkari, Shipping & Road Transport Minister, Government of India. Apart from a galaxy of eminent logistics industry practitioners and experts, former Indian cricket team captain Mr Saurav Ganguly, will also speak at FWC-2018. He will speak at Indian Forum to highlight various factors and aspects of India’s growth story. The Inauguration function of FWC-2018 will be held on 26 September 2018 at 9:00 am at Pullman Hotel, Aerocity, New Delhi. Among other esteemed speakers to address on this occasion would be Mr. Kunio Mikuriya, Secretary General of World Customs Organization; Mr. Babar Badat, President, FIATA and Mr. A. V. VIjayakumar, Chairman, FFFAI. Speaking about the preparations, Mr Debashis Dutta, Chairman, FWC-2018 Organising Committee and past Chairman, FFFAI, said that about 800 delegates from various countries from across the world have already confirmed their participation. “We are expecting the number would cross 1000 and this is really encouraging for us in successfully organizing the Congress,” he added. 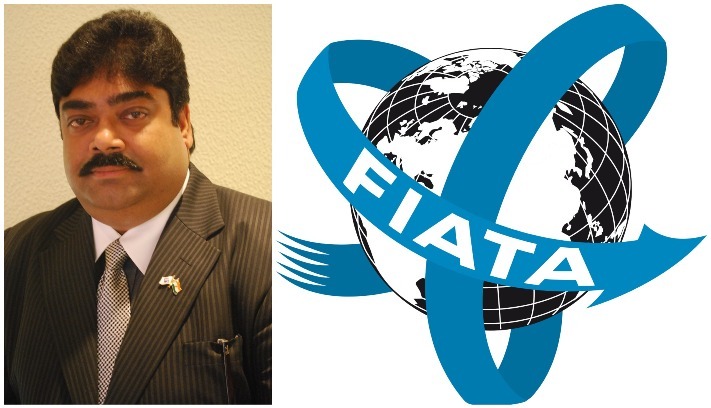 “FIATA World Congress 2018 in India will draw huge attention of participants from across the world. It would provide tremendous business and networking opportunities where the delegates would interact with their counterpart. One of the major attractions of this event is the One-to-One B2B meetings,” added Mr Dutta. Meanwhile, a large number of delegates have started registering themselves for the B2B session to meet up with Foreign Customs Brokers; Freight Forwarders and others from different countries.